Caterpillar Inc. today announced its third-quarter results, in which it reported profit per share of $1.63 for the third quarter of 2014, an increase from third-quarter 2013 profit per share of $1.45. The third quarter of 2014 included a negative impact of $0.09 per share for restructuring costs. Excluding restructuring costs, third-quarter 2014 profit per share was $1.72. Third-quarter 2014 sales and revenues were $13.549 billion, up from $13.423 billion in the third quarter of 2013. “We are confident that, when we see more significant economic growth around the world, our consistent focus on operational performance will have prepared us to deliver even better results,” Oberhelman added. The company now expects 2014 sales and revenues to be about $55 billion, the middle of the previous outlook range of $54 to $56 billion. While the mid-point of the sales and revenues outlook range has not changed, profit per share expectations for 2014 continue to improve. To provide a better understanding of the company’s expectations for 2014 profit, the profit per share outlook is being provided with and without anticipated restructuring costs. With 2014 sales and revenues of about $55 billion, the revised profit outlook is $6.00 per share, or $6.50 per share excluding $450 million of restructuring costs. That is an improvement from the previous profit outlook of $5.75 per share, or $6.20 per share excluding $400 million of restructuring costs at the mid-point of the previous sales and revenues outlook range of $54 to $56 billion. “In January we provided our first profit outlook for 2014 at $5.85 per share excluding restructuring costs — our current outlook excluding restructuring costs is $6.50 per share, a substantial improvement. The fact that we continue to raise our profit per share outlook on relatively flat sales is a testament to our diverse portfolio of businesses, disciplined cost control and operational execution. I’m proud of our people for what they’ve been able to accomplish in the current economic environment. We have an exceptional team around the world and in uncertain times like these, they are especially important to us. As we move into the final quarter of 2014, we expect to build on what we’ve been working on: strategy execution, operational performance, cost management, cash flow, our healthy balance sheet and improving our market position,” Oberhelman said. From an economic perspective, Caterpillar believes there is a reasonable likelihood that world economic growth could improve in 2015. In developed countries, growth-oriented monetary policies should support continued modest economic improvement. In addition, the company believes there is potential for increased investment in infrastructure in countries such as the United States, India and Turkey. In developing countries, several governments raised interest rates or constrained liquidity in 2013 to control inflation or protect their exchange rates, and these measures have led to slower growth in 2014. More recently, interest rates in many developing countries have stabilized and we saw the first monetary policy easing in the third quarter of 2014. Despite cautious optimism for improved global economic growth, significant risks and uncertainties remain that could temper growth in 2015. Political conflicts and social unrest continue to disrupt economic activity in several regions, in particular, the Commonwealth of Independent States, Africa and the Middle East. The Chinese government’s push for structural reform is slowing growth, and the ongoing uncertainty around the direction and timing of U.S. fiscal and monetary policy actions may temper business confidence. 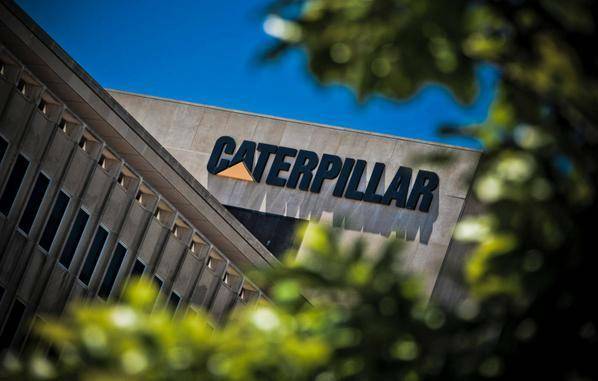 As a result, Caterpillar’s preliminary outlook for 2015 expects sales and revenues to be flat to slightly up from 2014. “At this point, our view of 2015 sales and revenues isn’t significantly different than 2014. Our order backlog was up a little in the third quarter and was slightly higher than at this point last year. We’re hopeful that economic growth will improve in 2015, but are mindful of the uncertainties and risks. We have continued to improve operational execution, and if we see more positive economic momentum, we believe we’re well-positioned to respond and deliver for our customers and stockholders,” Oberhelman added. Caterpillar worldwide full-time employment was 114,352 at the end of the third quarter of 2014, compared with 121,506 at the end of the third quarter of 2013, a decrease of 7,154 full-time employees. The flexible workforce increased by 1,017 for a total decrease in the global workforce of 6,137. The decrease was primarily the result of restructuring programs.